Office furniture liquidation adds value to corporate relocations, remodeling, and building expansion. Changes in either floor plan or location require changes to departmental workspaces and individual work areas. While we would assume such changes typically require purchasing new furniture, they often require eliminating existing furniture as well. Often, it is when companies merge or move to a new location that they can most benefit from office furniture liquidation. Removal of old desks, conference room furnishings, and chairs makes way for more efficient use of remaining furniture. It also makes it easier to determine what, if any, new cubicle systems, casegoods, office chairs, and desking systems may need to be purchased. Cubiture will assist Houston businesses with this service by inventorying their office furniture items and assessing the current value of each product. We either buy it or sell it to a third party after negotiating the best possible pricing. 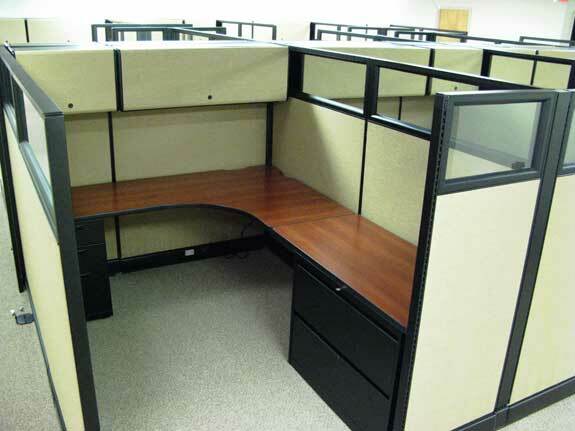 The physical aspects of office furniture liquidation are also handled by our warehouse/factory team. While there may be a cost associated with the collection and transportation of unwanted furnishings, it is nonetheless more cost effective than keeping them in-house and attempting to move them or sell them online. Keeping unused inventory can result in higher taxes, and dedicating man-hours to selling furniture represents an internal expense to a business that will typically run much higher than our marginal pickup and transportation costs. Cubiture trucks will pick up the used items and transport them to our facility for temporary storage. Sometimes are liquidation services are most valuable to Houston businesses whenever they are purchasing new office furniture. We can apply the value of the furniture to the invoice, reducing the overall costs in the process. We make it a point to help each customer feel that they are getting value in return. There are also certain tax benefits that office furniture liquidation can offer a business. Donating furniture represents a tax write off proportional to the current value of the furniture. Many Houston organizations will choose Cubiture to help them with these donations because we can coordinate pickup, storage, and delivery of the donated items to a charity of their choice.